BOP TV Makes the List of Top Black Owned TV Networks! BLACK ON PURPOSE TELEVISION (BOP TV) IS FORGING AHEAD WITH ITS LONG-AWAITED STREAMING TV SERVICE TO BRING ‘POSITIVE’ BLACK VIEWING CREATED BY AND FOR PEOPLE OF COLOR! BOP TV, The World’s Largest Streaming TV Service Is Now Live And Is Proving To Be The Alternative TV viewing Destination For People Of Color. Currently Available Worldwide, It Is Already Being Viewed By Over 4.1 Million People In More Than 9 Countries And Growing Fast. [ATLANTA, GEORGIA, 12-06-18] BOP TV Network launched its streaming service globally. “This is truly the beginning of a new global black-owned TV network,” said Michael Campbell, CEO/President of BOP TV. 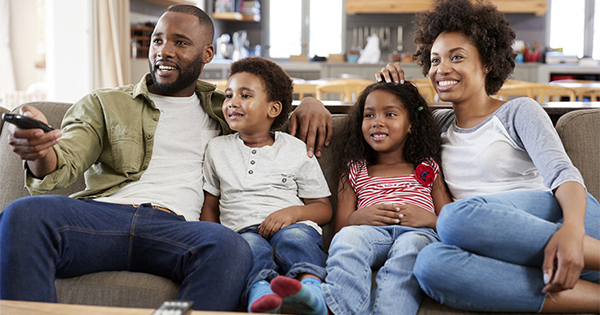 “With us, black consumers all around the world will be able to enjoy black TV shows and movies on demand.” With the help of various platforms and the Internet, consumers are able to watch TV programs, shows and commercials made by and for black people on a range of devices with Internet connection including Roku, Amazon Fire Stick, Smart TVs, Blue Ray Players, Tivo and more. Programs and entertainment can be watched conveniently on smartphones, tablets, laptops, personal computers, and game consoles. Viewers can watch and experience BOP TV with a FREE 3-Day Trial Subscription. With a monthly subscription of only $4.99, subscribers around the world will be able to enjoy BOP TVs vast content of over 8,000 TV shows, dramas, documentaries, and movies. BOP TV has 16 channels (expanding to 24 in 2019) and will continue to grow with new stories and content from creators from all over the world. Now’s the time to take advantage of the FREE trial offer! BOP TV is the world’s leading black internet television network. Targeting an under-served group of top consumers, the arrival of this new TV service being made by BOP TV has already been welcomed by 1.5 Million viewers in already 9 countries watching around the world, a number that is expected to double in 2019. Join the millions of viewers who are enjoying thousands of TV shows and movies every day, including original series, documentaries and feature films. Watch as much as you want, anytime, anywhere, on nearly any Internet-connected screen. You can play, pause and resume watching, all with commercials made by and for black people. The viewing experience is unlike anything else that’s being offered out there. It’s definitely an exciting time to be a BOP TV subscriber! For a discussion about this topic, investment opportunities, advertising and airing content on the Network, please call Michael Campbell, President & CEO direct on (951) 220-3605.